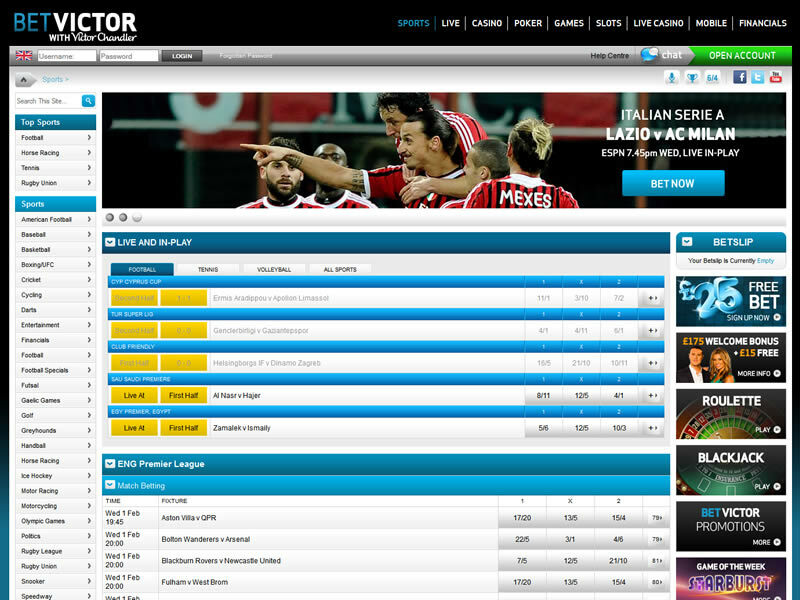 BetVictor (formally Victor Chandler) is one of the most reputable bookmakers in the UK. It has established a reputation as a fair dealer that hands over payment promptly. 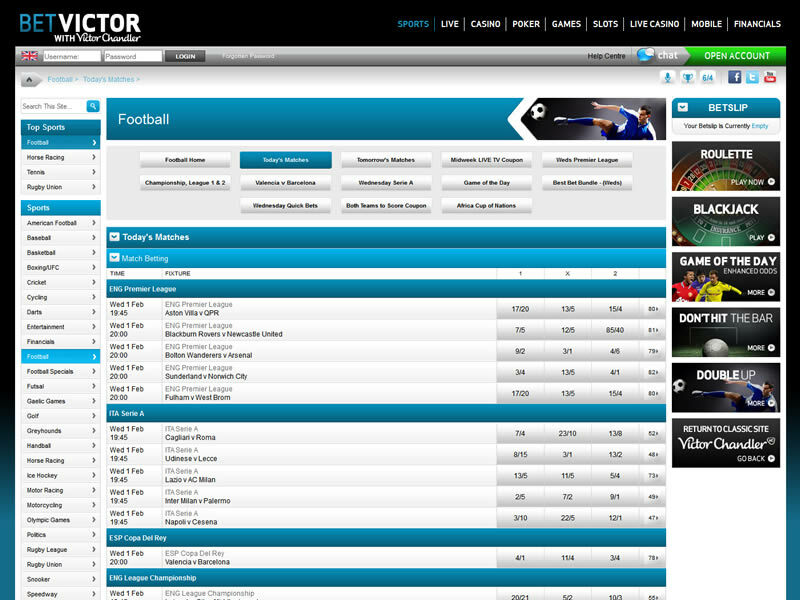 Victor Chandler was established back in 1946 and rebranding their services as BetVictor time ago hasn’t affected their reputation or their popularity. 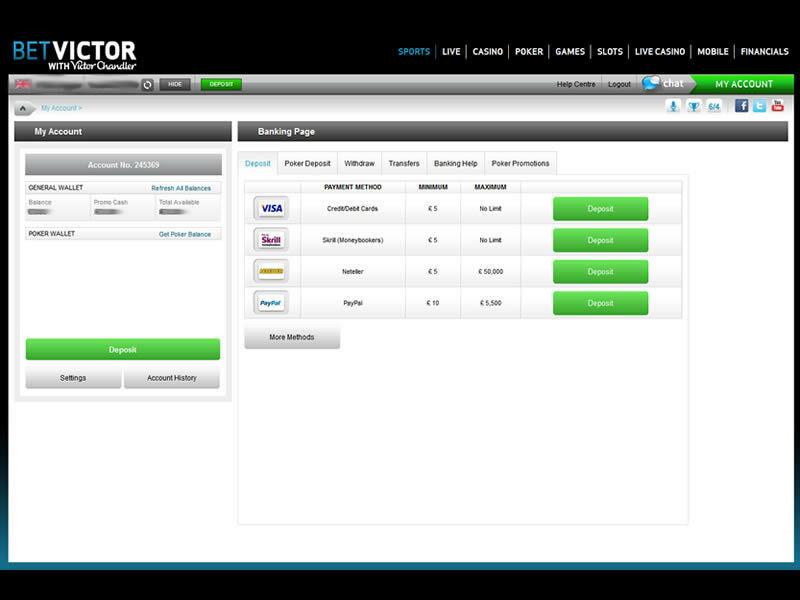 Being one of the oldest bookmakers in the UK, Bet Victor has a long-standing reputation of integrity and reliability. Called ‘the gentleman’s bookmaker’, Bet Victor has earned and maintained a longstanding tradition of discretion and legitimacy in gaming with the British Sports Betting Organization. Innovative betting options such as a mobile betting service with a free SMS alert service have enabled this site to quickly inform you of settled bets. Offering a sophisticated site layout and wide range of markets to boot, there is no area where VC Bet falls down and can be highly recommended for both inexperienced and veteran punters. 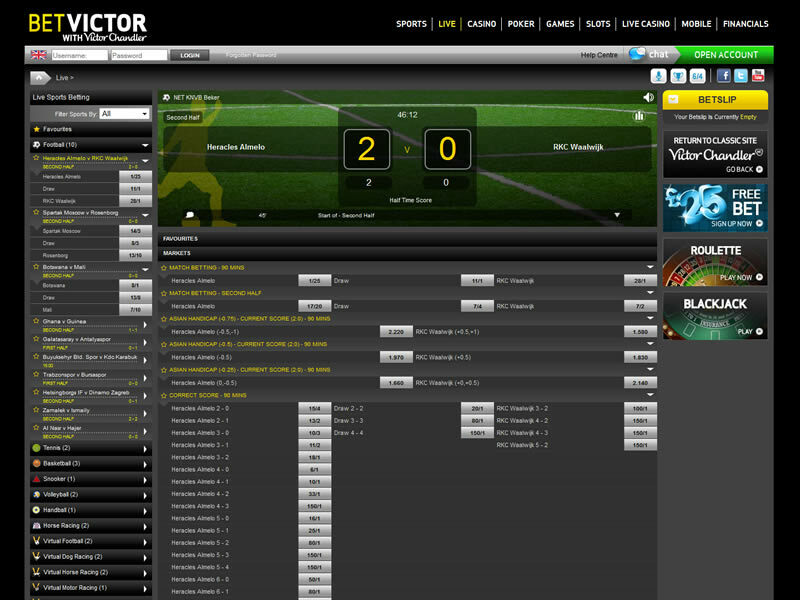 Register with Bet Victor, Get £20 in Sports Free Bets & a £10 Casino Bonus when you bet just £5.